Flower Wishes was released in 2007 as an Easter pony. 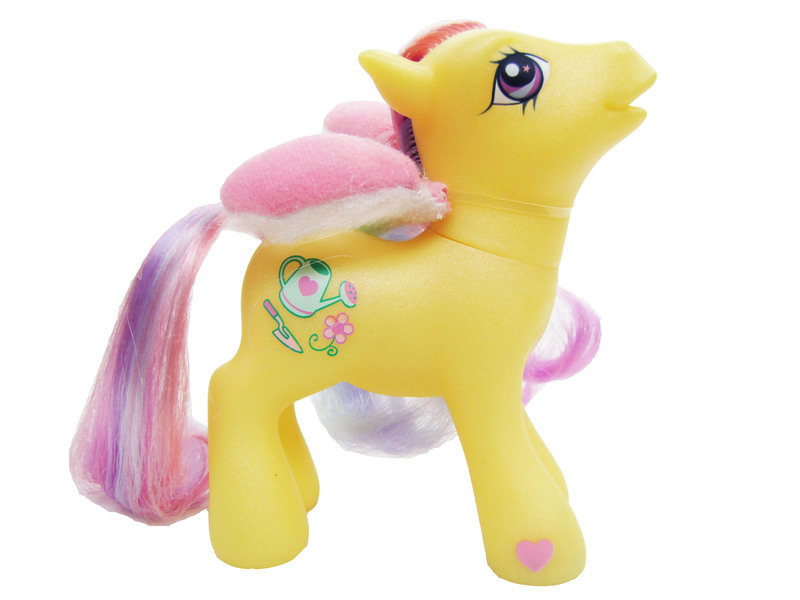 FLOWER WISHES pony was born in March and her favorite color is sunshine yellow! Her favorite gems are sapphires and she loves dressing up like the Easter bunny! Celebrate Easter all year long with FLOWER WISHES pony and her cute-as-can-be bunny costume! Pony comes with bunny ears and cottontail.